V.l. 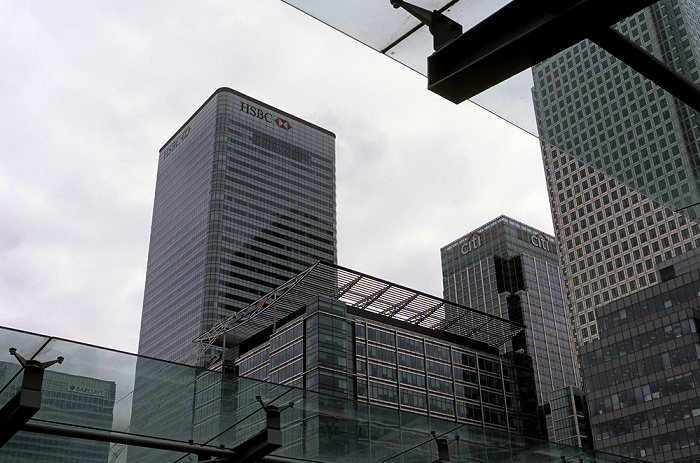 : HSBC Tower, 5 Canada Square (unten), 25 Canada Square (Citigroup Centre) und One Canada Square (Canary Wharf Tower). Mehr Bilder aus London sowie von den Motiven 25 Canada Square, 5 Canada Square, Canary Wharf, Citigroup Centre, Docklands, HSBC Tower, One Canada Square und West India Quay DLR Station. Historische Bilder vom Motiv Canary Wharf gibt es hier.